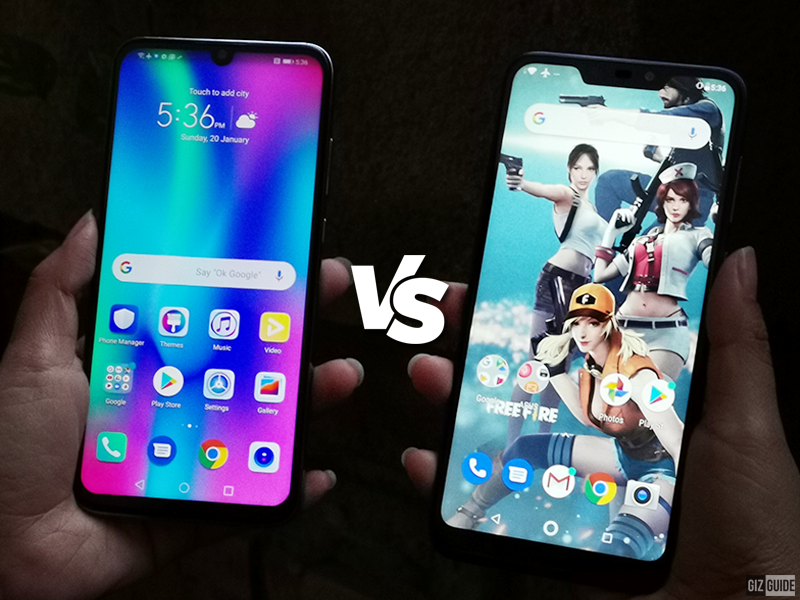 Honor 10 Lite and ASUS ZenFone Max M2 are two capable devices for the price. Let's see who looks better on paper. Honor Lite 10 is an affordable yet capable offering to accompany the Honor 8X. It has GPU Turbo 2.0, a 24MP f/2.0 AI-assisted selfie shooter and AIS Super Night Mode. 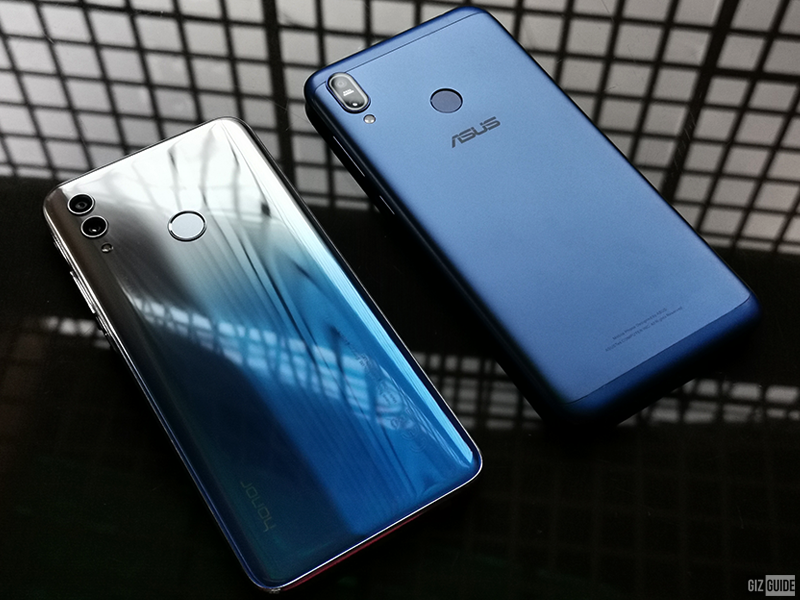 The ASUS ZenFone Max M2 is the smaller sibling of their "battery king" smartphone. It has a 4,000mAh and a Snapdragon 636 SoC. The better looking affordable contender is? Who is the better bang-for-the-buck device? Build/Quality - The Honor 10 Lite has a glossy back cover with a gradient color design. The back and the frame of the device is made out of tough plastic material. The ZenFone Max M2 also has a plastic frame but with metal backplate. In front, the Honor 10 Lite has a tall screen with a waterdrop-like notch. It also has slim bezels that gets it over 90 percent of screen-to-body ratio. The ZenFone Max M2 has a bigger notch and thicker chin but the side bezels are also slim. The build quality is virtually the same but the Max M2 has a backplate. The design points definitely goes to the Honor 10 Lite though. Display - The Honor 10 Lite has a 6.21-inch 2.5D curved IPS screen. It has a resolution of 2340 x 1080 and a pixel density of 415 ppi. The ASUS ZenFone Max M2 has a slightly bigger 6.3-inch 2.5D curved IPS display. However, it only has a resolution of 1520 x 720 with a pixel density of 267 ppi. The Honor 10 Lite has a higher screen-to-body ratio for more screen space. It also has a better pixel density and sharper resolution at FHD+ compared to the Max M2's HD+ resolution. The Max M2's notch and chin definitely took up more space than the Honor 10 Lite's waterdrop notch. This one goes to the Honor 10 Lite. Specs - Let's talks key specs now. The Honor 10 Lite has a 12nm Kirin 710 octa-core SoC while the ASUS ZenFone Max M2 has a 14nm Snapdragon 632 AIE octa-core SoC. The Honor 10 Lite has the better CPU overall in terms of performance. The Honor 10 Lite in PH only has 3GB RAM and up to 64GB storage. It is identicalf to Max M2's 3GB/32GB offering. In the battery department. the ZenFone Max M2 has the bigger capacity at 4,000mAh while the Honor 10 Lite only has 3,400mAh. Cameras - The Honor 10 Lite has a dual camera setup with 13MP f/1.8 + 2MP sensors, PDAF, Master AI and LED flash. It also has AIS handheld night mode feature that allows users to take great low light shots. The ZenFone Max M2 also has a dual camera setup with 13MP f/1.8 + 2MP sensors, PDAF and LED flash. The Honor 10 Lite just offers more features and utility in the rear camera department than the ZenFone Max M2. For selfies, the Honor 10 Lite has a 24MP f/2.0 sensor with AI Face Beauty while the Max M2 has an 8MP f/2.0 sensor with softlight LED flash. Honor 10 Lite has the better overall selfie camera as well. Other features - Both of these smartphones are equipped with features that you would expect at this price point. ASUS ZenFone Max M2 edges forward with the inclusion of NFC. The ASUS ZenFone Max M2 is a good contender with what it offers at its price. The bigger battery and overall specs are definitely worth a look especially if you are on a tight budget. However, the Honor 10 Lite appears to offer more if you can spend a bit more in terms of the overall package.